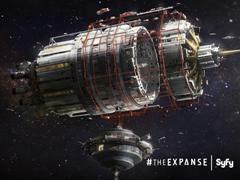 In the last few episodes, we saw the aliens becoming more aggressive after yet more let downs from the government. Sophia Maguire (Laura Innes) and the “Others” were holed up in a cathedral. They had had enough between Thomas’ rebellion and the broken promises by the Government. 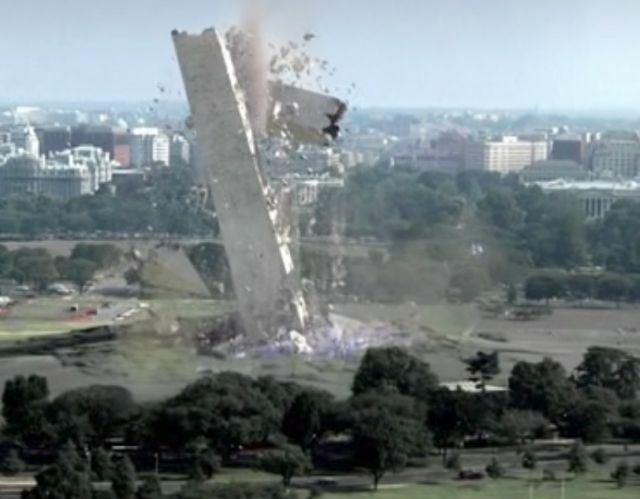 They tried to reason with President Martinez (Blair Underwood), but failing that they took down the Washington Monument. Unknown to the Government, that was all the aliens had, power-wise, but it bluffed the President into thinking they were ready for full out war. The Aliens made demands to leave the cathedral by buses to LAX and a cargo jet there. The government complied so they left by three buses from the cathedral. Two of these were destroyed by Government ordered Apache gunship fire. Thomas (Clifton Collins) and Sophia Maguire had resolved their difference in the stand-off earlier. When it looked like no escape, Thomas put his own bus in front of Sophia’s and he was killed in the missile attacks. 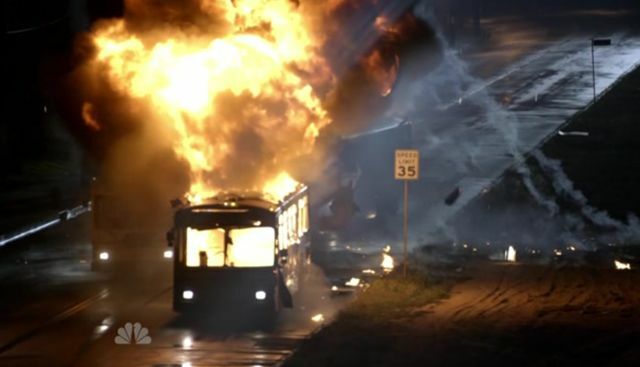 On the third bus, Sophia (Laura Innes) and Simon Lee (Ian Anthony Dale) survived, along with about sixty others. Their bus escaped through the Portal array and they wound up back in the private housing development which Thomas had set up for their people to live in safely. 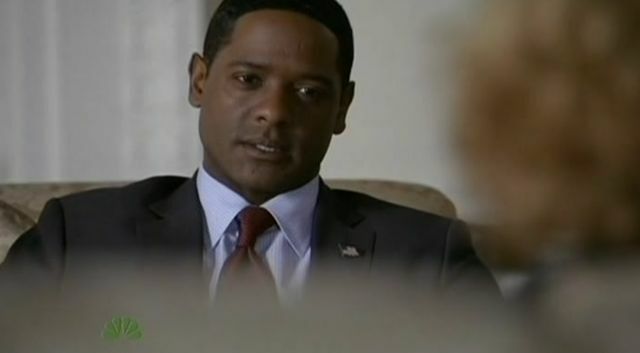 But now, the Government is after ‘sleepers’ which have infiltrated the executive branch, among other high-level positions and President Martinez (Blair Underwood) has ordered DNA testing of everyone with the help of Senator Catherine Lewis (Virginia Madsen). Most everyone in the White House staff agreed to the tests, except for one hold-out; The First Lady, Christina Martinez (Lisa Vidal). 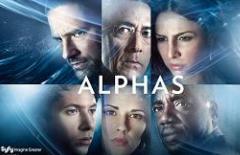 Sophia, Simon, Leila Buchanan (Sarah Roemer) and Michael Buchanan (Scott Patterson) are back in their community, and Sophia now says they will bring all their people here, to make this planet their own. The plan involves the destruction of most -if not all – humans on the Earth in order to make room for their two billion individuals. While Sophia appears to be saddened by this option, she is duty bound to save her own people. The slaughter of the EBEs (Extraterrestrial Biological Entities) on the two buses in Los Angeles has embittered her and she no longer sees this world or its people as “Benevolent”. Because of this, she has released the EBEs from their vow of refraining to harm any benevolent civilizations. She is angry and desperate because their home world is about to be destroyed by their sun going into Supernova. We now know that Dr. James Dempsey (Hal Holbrook) was working with an Archeology dig in the Jura Mountains in France. Dempsey’s team discovered some very ancient Amphora and a scroll within one of them. 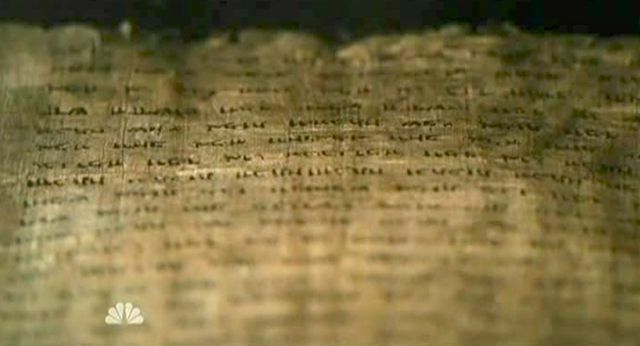 Dempsey is most pleased and was studying the scroll. Sean Walker (Jason Ritter) and Vicky Roberts (Tyler Cole) had gone to find him and try to get answers, or kill Dr. Dempsey. Dempsey’s security agents captured Vicky. Sean went to get information from ‘Henri’ about the whereabouts of Dempsey and why they got ambushed. He got Henri to talk after inflicting much pain. Vicky was brought to Dempsey, who was studying the glyphs he now possessed. Dempsey told her he was part of a line of people called “The Sentinels”. This line of Sentinels have been given the task of protecting us from “Them”. But, I was guessing because of Vicky’s knowledge of what he has done and had her do – for whatever reason – Dempsey ordered his henchman to kill her. We left with Vicky, bound and gagged in the Chateau, the henchman starting a fire with petrol and Sean on the run in the forest which surrounds the Chateau. This week, we come in to what appears to be an elaborate cryo-lab where a man we know as ‘Herbert’ is working with cylindrical packs of ice. He gently saws a piece of ice in a precise disc and lays this onto a large slide and places it into an analyzer. Outside, Government Tactical units are breaking into the building. Herbert is alerted to their presence, calls Sophia and tells her they are breaking in. Sophia instructs him to send her what he has so far and destroy the rest of the samples he has. Herbert says he has worked so hard… but Sophia tells him he knows what he has to do. 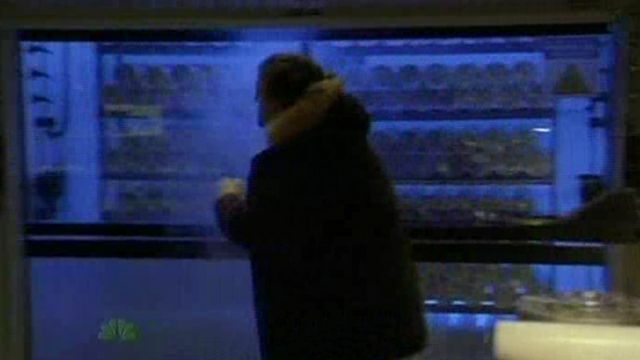 Herbert complies and starts a meltdown of the ice packets. The Government units break in and in the ensuing chase, Herbert jumps out of a window to his death. Next, in the White House “War Room”, Vice-President Ray Jarvis (Bill Smitrovich), Blake Sterling (Ziljko Ivanek) and Gen Ambruster (Blue Deckert) are discussing Herbert’s lab, his suicide and how they could find out what Herbert was looking for in the lab. As far as they know Herbert was studying Ice core samples. 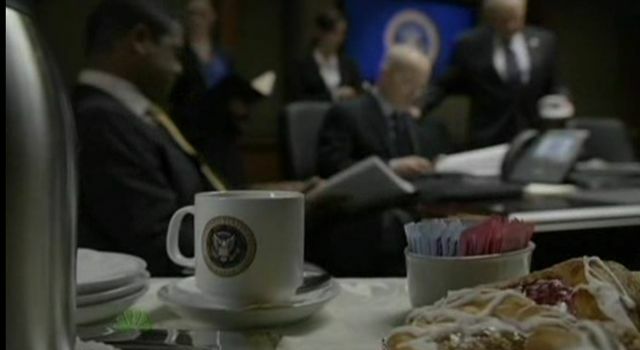 President Martinez is really into his coffee here, a strange turn as this was never that apparent in past episodes, is unsure why ice core samples were being studied. The General said it could be the EBE’s trying to find a way to bring more of their people here (At this time, the Government does not know how the EBEs could do this.). Martinez tells them with the attack on the Washington Monument and their counterstrike at the EBEs, they are now at war with the non-Terrestrials which means Sophia could go on the defensive and if she does they must know what she is going to do and be ready for it. “This is a war we must win” he says. At this point, Vice-President Jarvis comments that this is a war maybe they should not fight alone. Maybe the should come clean about the aliens to other world leaders and get some help. 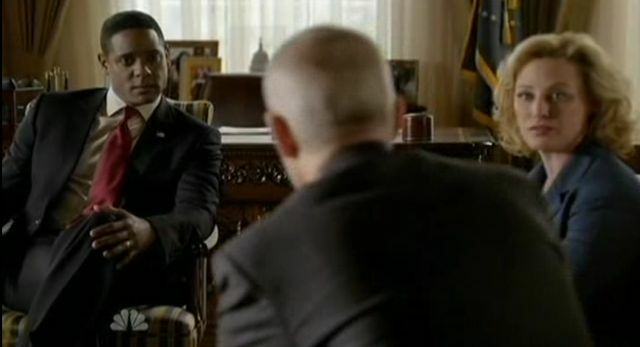 President Martinez coldly tells Jarvis “When I want your opinion, I’ll ask for it” Jarvis backs down, and it is “Yes, Mr President. An aide comes in telling Martinez that Sen Lewis is waiting to see him. All who agreed to the tests came back negative for non-terrestrial DNA. His wife is again called into question by Sen Lewis, who then produces a file on Christina. She put together this file on her own. She says that People and places do not match up. Martinez does not want to think of his wife as possibly being a non-terrestrial. As Senator Lewis was leaving his office, she pointed out a photo of the First Lady at a New Orleans rebuilding project six years ago, saying “She hasn’t aged a bit.” Martinez is irate at the Senator and tells her to “Get out”. 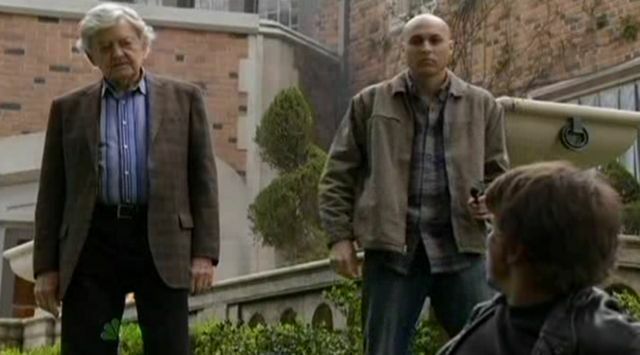 Jarvis receives a phone call from Sophia, who is standing outside in her community She is approaching Jarvis about the events that resulted in the loss of life. 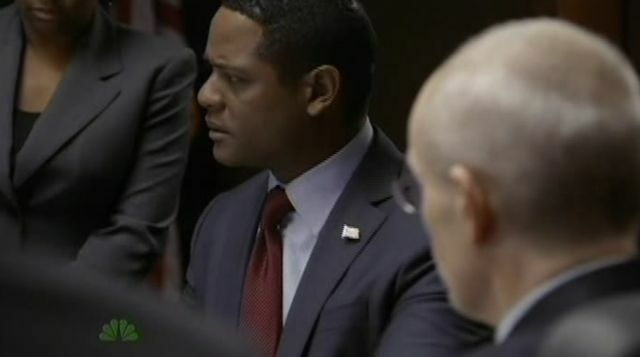 She tells Jarvis this will only get worse if Martinez has his way and she has a plan to get Jarvis in her ballpark and making him become the president. She expressed sadness at all who have been killed, leading Jarvis to believe this is the only way to save lives. Sophia knows how to stroke egos. Even her voice is very beguiling, so it seems fitting she would build Jarvis up to be the new Leader of the Free World and Jarvis would possibly grasp the opportunity. Back in France, Sean is prowling in the woods around the Chateau de Perrault and sees Dempsey and others leaving. Sean then runs into the house and gets Vicky out of the fire. It appears she is in full arrest so Sean does rescue breathing and CPR on her. Eventually, he revives her. As Vicky comes around, We hear Dempsey saying “Impressive, Mr. Walker.” Sean looks up surprised as his gun is taken from him by a henchman and Dempsey continues; “I think it’s time we had a little talk”. Back in the community, Leila sees the bodyguard thru the glass in the front door and causes a ruse to get out of the house by cutting her hand in the kitchen. I notice the kitchen is either never used, or these are a fastidiously clean people. The counter tops are totally cleared off, nothing seems to be plugged into the outlets on the walls, all that was there was an apple Leila claimed she was cutting with the knife. She calls out and the guard comes in, wraps a cloth around her hand and takes her to the medic they have in the community. Their clinic is in one of the houses and seems to be well put together.As Leila is led into a treatment room, she looks around into the other rooms and spots Simon,who is restrained on one of the beds. His head is lightly bandaged. She is called into her treatment room so she doesn’t go to Simon. I also notice the medic is an overweight female of “Over forty”. This to me is refreshing. Too many programs are so ‘Pretty’ these days and even EBE’s are attractive if not downright beautiful. I do like that age or weight is not a taboo in The Event. 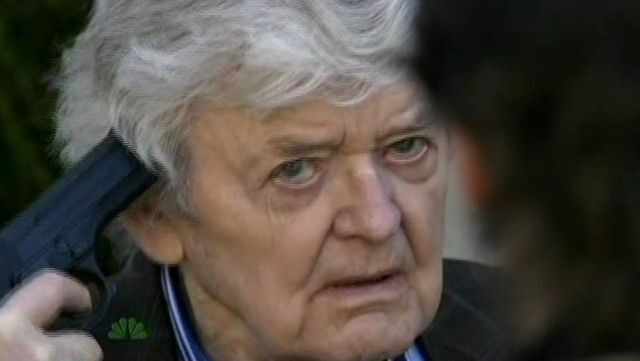 Sophia has facial lines and Arron looks ‘Over forty”…Hal Holbrook we know is advanced in years too. Quite a nice change in television! We need more ‘Real sizes’ in the entertainment business. When the Medic is finished with tending to Leila’s hand, Leila asks if she could stay there for a while as she still feels a bit nauseous. The Medic agrees that she can stay and leaves. Leila then quietly leaves the treatment room and goes to Simon. She says she knows her father turned him in. She apologizes. He tells her what Sophia has planned and about what he saw in Thomas’ house. He tells her about the maps of Siberia and a woman’s’ name: Irena Bogdenov. Jarvis and some Secret Service people are in what appears to be an upscale hotel and Jarvis goes to a room, declining the Secret Service’s need to ‘Sweep” the room. Jarvis says “The room is clear” as the agent looks in and sees a woman with her back to the door, sitting there quietly. The Agent backs down, promising discretion and leaves. Jarvis walks into the room and locks it. The woman is Sophia, who is in a nice dress and make up. She cleans up nicely in fact. Jarvis pulls a gun on her and asks why he should not shoot her right now. She of course points out she would then become a martyr for her people. She says he can be the one to lead his country into the New order of co-existing with their people, but not while Martinez is in control. She tells him it would be non-traceable, we all know what this means. Martinez would be dead, Jarvis would become the President. Martinez comes into his bedroom and sees his wife, asleep with her glasses still on. She has fallen asleep while reading and he wakes her. they talk a bit about an old vacation they were on and Martinez catches her in a ‘lie’ of sorts. She said she had seen a place before, but he remembers she had never been there. She ‘saves’ her comment by saying “In pictures” and he tries to egg her on for more information, mentioning he had never seen her family who was allegedly there, but she says it is late and they should sleep. We are still wondering if she could, in fact, be one of the EBEs. 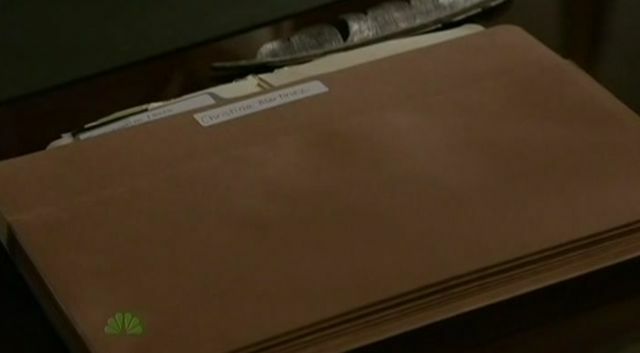 President Martinez goes to see Senator Lewis and retrieves the file she had offered him earlier. Being assured that only she knows about the files as does he, he leaves with the file. We can tell President Martinez is very nervous about what secrets his wife could be holding back from him. Jarvis leaves, feeling dejected and upset that he apparently has no allies in the Government anymore. As Sophia and Arron are discussing what Herbert’s data indicated, they both seem very please at getting the actual location of their weapon. Jarvis calls her as Arron and Sophia wrap up their discussion to say he is on board with her idea to take out Martinez. Seems Jarvis is playing well into the plan Sophia has, and then… will he be of any use to the EBEs? Back in the community, Leila opens the front door of her house to invite her bodyguard in for a drink. It is raining and the guard agrees to come in. Leila has him give her his jacket and gives him the corkscrew so he can open the wine as she pleads a need to use the bathroom. Of course Leila has taken the guard’s cell phone and locked herself in the loo where she then calls 911. She has no idea where the houses are, and the operator says her cell phone GPS is deactivated – cannot be located. During this time, the guard pours their wine, and notices she is taking a while. He goes to his jacket on a chair and finds his phone is gone. The Guard bursts into the bathroom and Leila fights him and escapes. It was interesting to see the non-Terrestrials do drink. I was really wondering as they do not seem to act like us, despite being ‘Humanoid’ in many respects. Dempsey then tells Sean that he must now take up this fight. Dempsey sites how Sean started out as a man with no resources, who has taken on the Government, and even Dempsey, in order to save Miss Roberts. Sean tells Dempsey he thinks he is a monster and that he should pay for his crimes. Dempsey tells Sean “Well, I must move you away from that, now” continuing that Sean is part of the “Tapestry”. He says Sean will be given things to help them fight the EBEs. Dempsey then commits suicide with a shot to his head. Dempsey’s henchman drops a black bag at Sean’s feet and runs off. I will miss seeing Mr. Holbrook. This is a fine Actor and his voice and mannerisms made for a great ‘Villain-Ally” character. 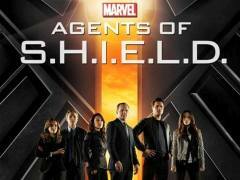 One was questioning Dempsey’s motives through the whole series! To me, this is true entertainment. Many will be shocked to realize that Dr. Dempsey was on the side of humanity all along! 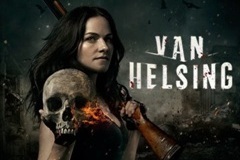 After Dempsey falls dead, Vicky and Sean hear far off sirens and see the smoke billowing into the sky from the distant chateau, so they make a run for it. 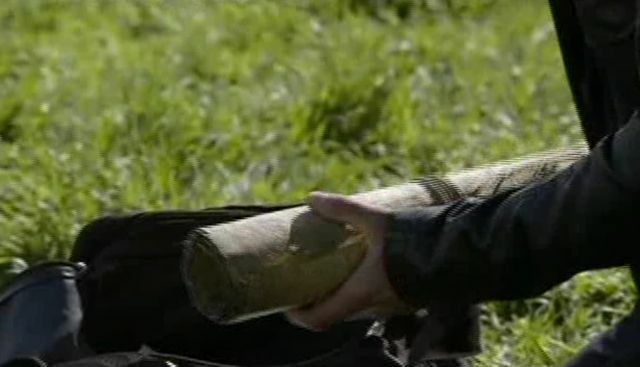 Once they both reach a desolate area, Sean stops for a rest and begins to open the bag which Dempsey’s henchman had given to him We see the Ancient Scroll, Passports and I am presuming some money will be in there for them to travel with. Then again, I am practical! Leila has gotten away from the Guard and is outside in the community grounds calling Sean. In France, Sean is told by Leila what is planned. He must get help and stop this. She gets Irena Bogdanov’s name to him and was in the middle of telling him the plans when Michael, her father, tackles her and stops the conversation. Leila turns to her father and asked him ‘How could you be a part of all this? ?” He says “I don’t know what damage you may have caused, but if Sophia finds out, I won’t be able to protect you!”. Sean who has heard Leia get tackled and disconnected, now seems to understand Dempsey was telling the truth about Sophia and the non-Terrestrials. 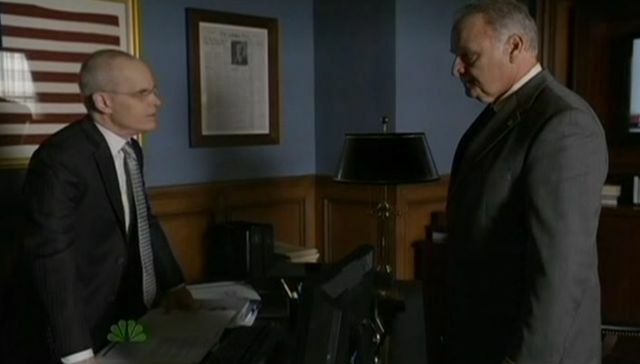 President Martinez enters his bedroom and discloses the file about Christina to her. Christina is upset, but Martinez asks her to tell him what is going on. Turns out her parents are actually Dominican and they faked being from Cuba so they could be free here in America. Only the Cubans were getting amnesty in the USA so they sneaked into Cuba and then into America as Cuban refugees. She tells him that is why all the lies and misplaced details. Her family was here illegally and she had hoped it would all become a non issue over the years. In Murmansk, Russia, an excavation is taking place. 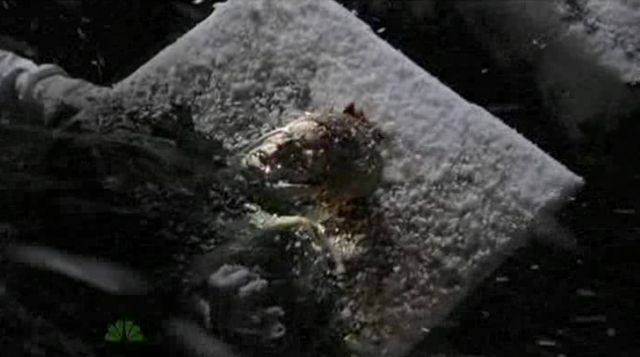 It seems the EBEs have found the weapon they were counting on and as they bring what appears to be a large box or slab up from the frozen ground, we see a frozen body on top. Jarvis is now in the White House “War Room” as the housekeeper is laying out the breakfast tray with danish and coffee. Jarvis asked her if she has any more of the croissants they had the day before and she goes to get some. 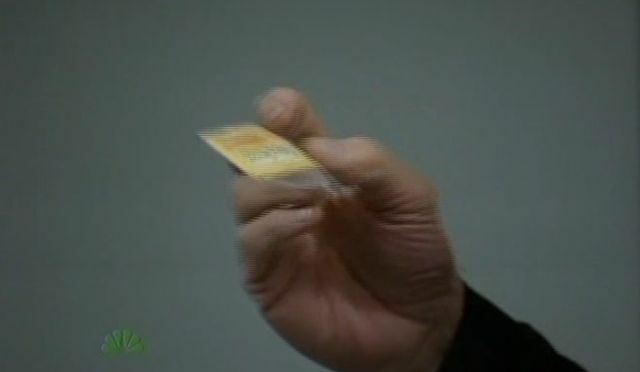 Alone now, Jarvis leaves the sweetener he obtained from the acupuncturist in place of the President’s sweetener. The packets looks the same so it goes undetected. the President and others enter the room as Jarvis completes the switch of the packets. The President starts the meeting with the day’s business. During the Russian excavation, the box did not look that large. I am wondering if the ‘Weapon’ is a biological agent, possibly within that body which was frozen to it. This would make sense to have a major pandemic/epidemic wipe out ‘humans’ instead of major surface or ecological damage from say, a Nuclear or Hydrogen bomb. Perhaps some disease that the EBEs can not get sick or die from. Disease knows no borders. It has no prejudice. It only cares about your biology. I can safely guess that if Aliens can cure disease, like man, they can also create them. But it seems that the EBEs are going from ‘co-existing’ with us to an all out obliteration of Earth’s populace. It is interesting to see Sophia is also reacting to the emotions of losing her son, Thomas and then having Simon betray her. She seems to in many ways regret what she has to do for her people, but at the same time doesn’t want to trust any human ever again. After what they have been through and thinking about what they may face – the extinction of their people- I can’t say I can completely blame her. I feel we could have, at one time, lived with the EBEs. They seem to be ‘Human’ enough to marry, have offspring with, work alongside… Heck, who’s that checkout girl at the market, really? Where is your Physician from? Do you REALLY know your ‘Fellow Man’? 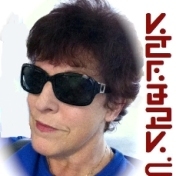 Thanks to Kenn for setting up this dedicated site and additional image and audio embedding and as always we appreciate your visiting our news sites at WormholeRiders News Agency. Please feel free to leave a spam free comment or a question here. I will respond to your comment or question as soon as is possible. The Event Returns Monday April 24, 2011 with “Strain”. In the meantime, please enjoy the episode “Cut Off The Head” courtesy of NBC! « The Event: You Bury Other Things Too!